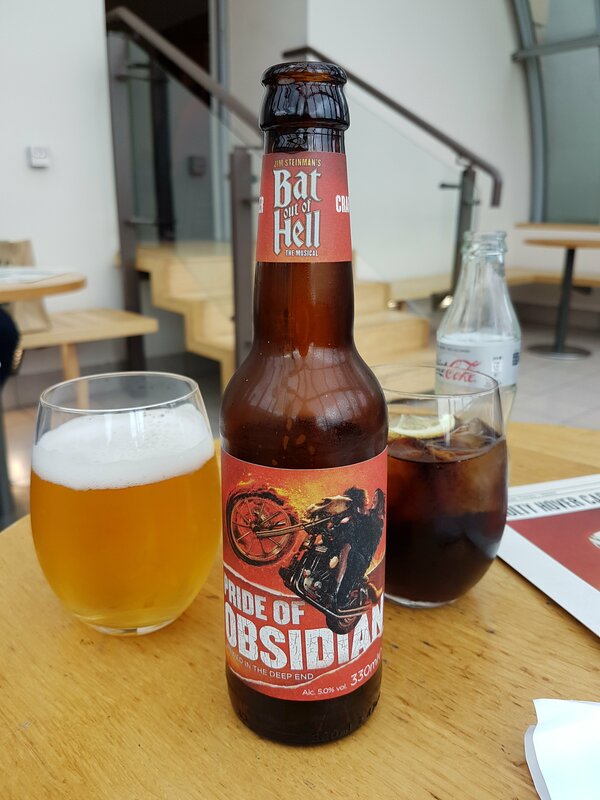 On Thursday morning, mum and I took the National Express coach to London to do some sightseeing and to watch Bat out of Hell the musical at the London Colesium. I had surprised her with the tickets for Christmas last year and, as it was a matinee performance, we decided to make a day of it and do some sightseeing as well. We both booked the day off work then decided to turn one day sightseeing into two and booked the Friday off too. We stayed at the Easy Hotel in Victoria, it’s a budget hotel, no frills but is great for a base if you’re not spending much time at the hotel and if it’s just somewhere to rest your head after a long day. The staff are very friendly and the rooms include air conditioning, tv and an ensuite bathroom. We arrived in London just before 10:30, picked up our tube tickets (one day I’ll look into an Oyster card!) and headed to Leiscester Square to find the London Colesium so we knew how to get to it later on. We’d had breakfast at home before boarding the coach but mum forgot her coffee cup in the car!! So, we decided to find a coffe shop to get a morning coffee for the long day ahead. While hunting for coffee, we went to the Lego store to marvel at the displays, I’d been before with Ryan but this was mum’s first visit. She was very impressed by Big Ben and the dragon sculptures. Mum was about to give up hope finding a decent cup of coffee when I saw Costa Coffee down a side street near the Lego store, she was very happy. 😉 We stopped there for a coffee and a light lunch before heading to Covent Gardens. 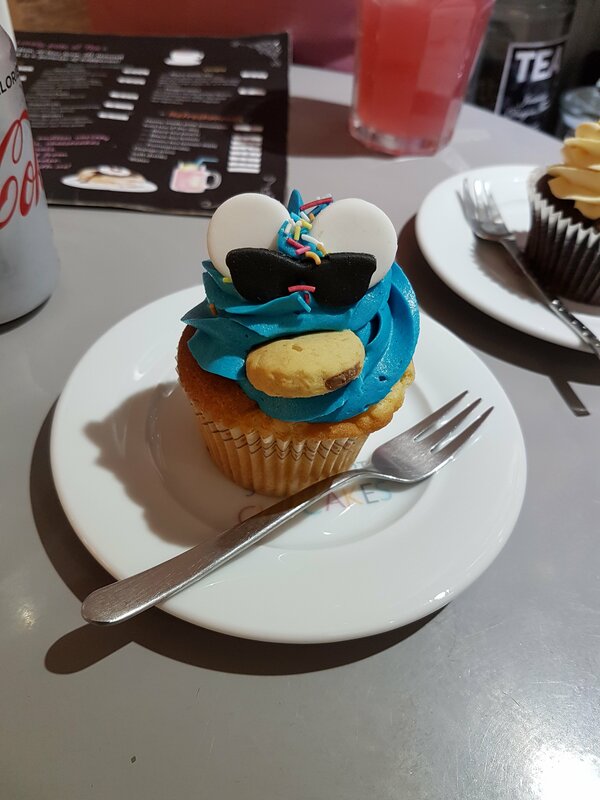 The first time I went to Covent Gardens I was introduced to a unique cupcake shop by my friend Sazzy and took my mum there when we saw Meat Loaf live back in 2014. We tried to find it again on another trip to London with dad, but it has closed down and a different cupcake shop had opened up! This time round that second cupcake shop had closed lol and we used Google Maps to find a third one – Sweetheart Cakes. 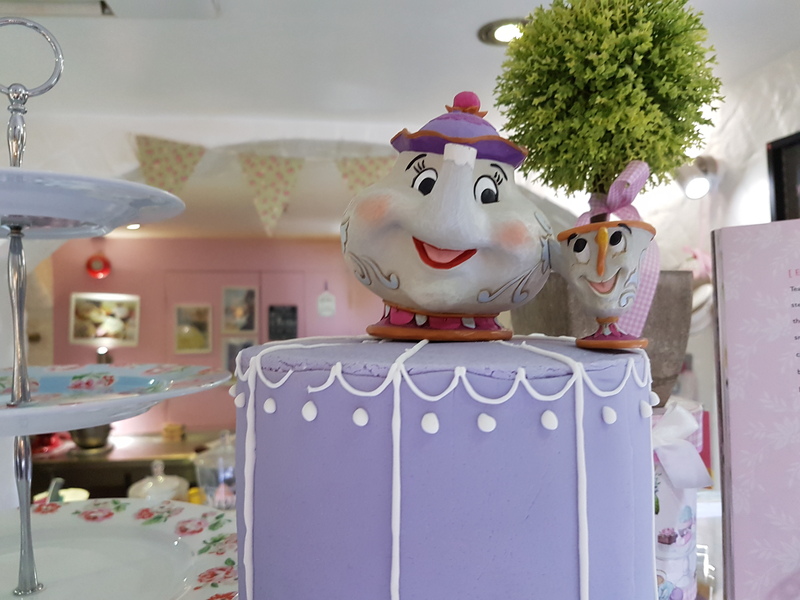 Sweetheart Cakes has cute and quirky decor such as a bobble head figure of The Queen, Mrs Potts and Chip from Beauty and the Beast and an array of signs / quotes about cake. 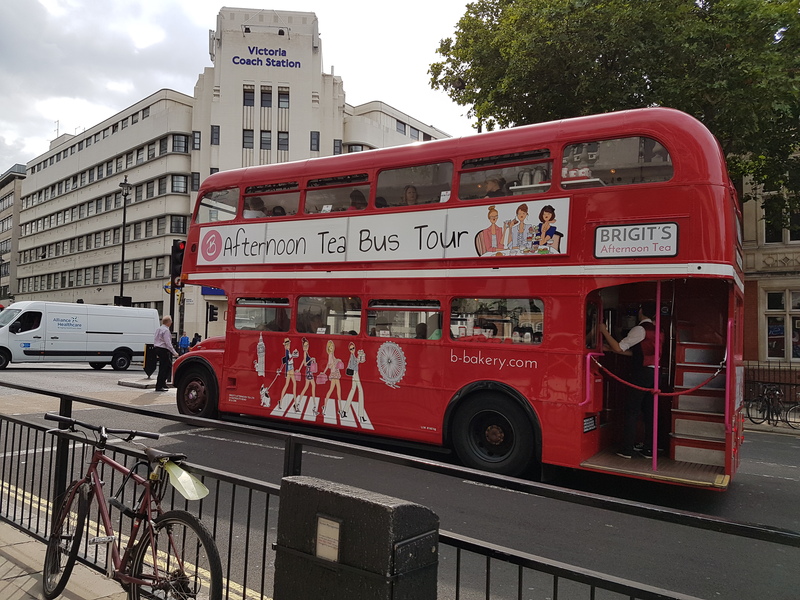 They sell a side range of themed teas, such as the Christmas tea which is made with typically Christmas spices such as cinnamon, as well as homemade pink lemonade which mum tried and thoroughly enjoyed. The cupcakes were well thought out (they were themed) and the decorations were fab. After eating, we headed to Covent Gardens marketplace for a browse but didn’t end up buying anything there. The stalls were primarily ones selling ‘I Love London memorabilia but we did find a lovely candle stall and towards the inner section of Covent Gardens (near the balcony) found some arts and crafts stalls, with some beautifully handmade greetings cards and some quirky kids clothing. I didn’t buy any of the books, but I would have happily came home with a leatherbound copy of Harry Potter and the Philosopher’s Stone if I’d had pennies. It was stunning! 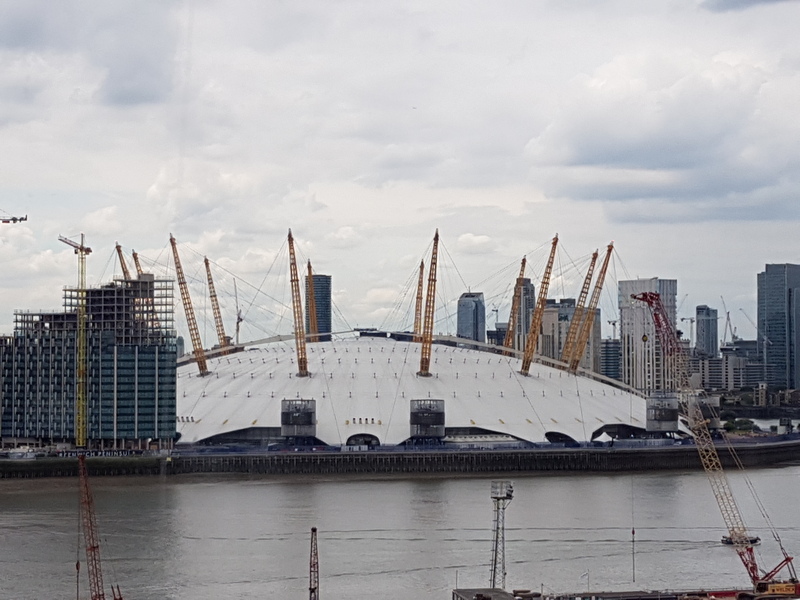 My mum is a huge Meat Loaf fan and, if you’ve been reading my blog for a while you may remember a previous trip to London we took, where we saw him love at the O2 Arena. We weren’t sure what to expect with the musical but both hoped it would be a story set around the album songs, like Queen’s ‘We will Rock you’ musical and we weren’t disappointed. 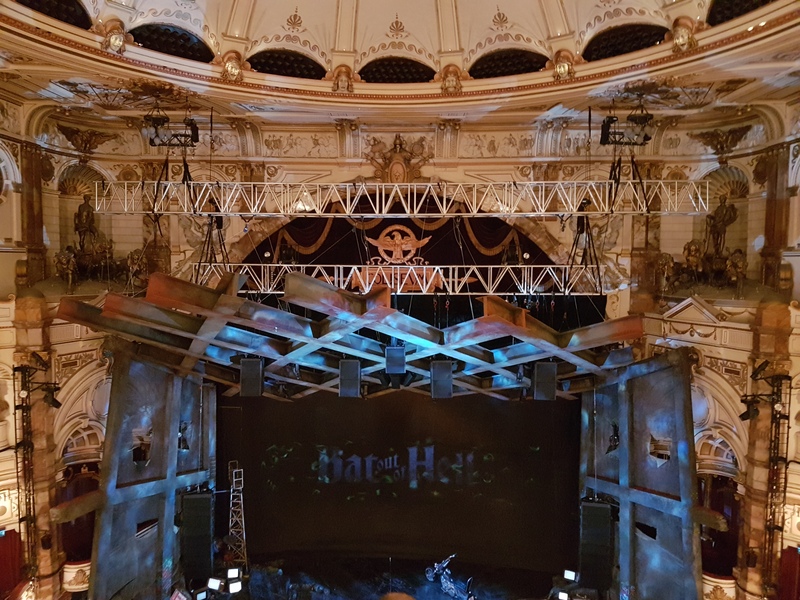 The show was phenomenal from start to finish and mum says nearly as amazing as seeing Meat Loaf live…! If there were tickets left she wanted to go back and see the evening performance! Lol. I explained to her that we could but we wouldn’tbe able to do anything else thay evening. There was lots of merchandise on offer, t-shirts, keyrings, biker jackets, tote bags, etc. We came away with a t-shirt each, mum bought a programme and keyring and I bought a magnet and a gift card. She also had a bottle of themed larger from the bar. The London Colesium is a breathtaking building, the architecture is simply stunning and we had great views of the hall. After the show we headed to our hotel to check-in and relax while while we decided what to do that evening. We came up with many ideas such as a Jack the Ripper walking tour, another West End musical or play, Ghost walking and a Ghost bus tour. We decided on the latter. The ghost bus tour took us on a tour of the darker side of London with tales of beheading, sickness and hauntings. 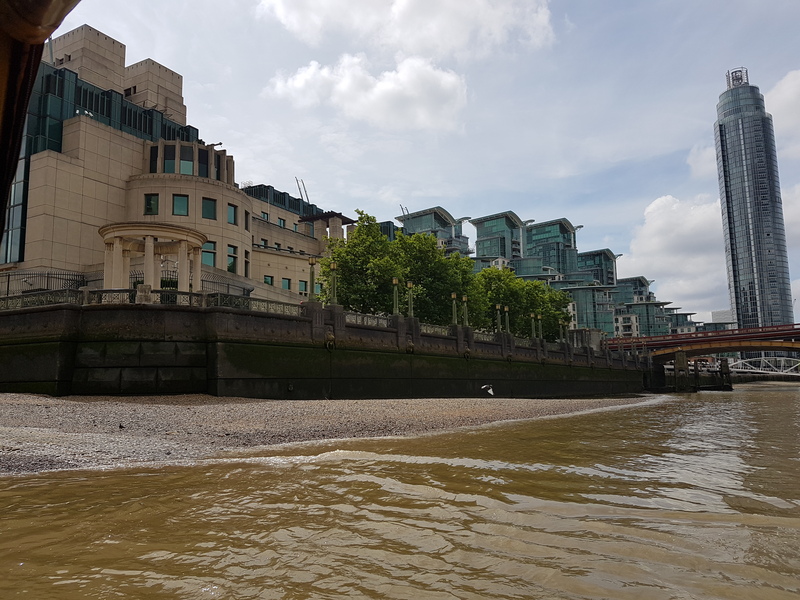 Without giving too much away we learnt about hospitals in London’s history, the plague, the great fire of London and how various traitors were executed. Our tour guide was great and kept us thoroughly entertained throughout our trip through the streets of London, there was another man on board as well, a health inspector who found more than one thing wrong with the bus… blood, strange noises, lights flickering, all adding to the atmosphere and to get you to believe that the old funeral bus you were travelling on is haunted. We finished our evening with a walk around South Bank and walked past Elizabeth Tower as the Big Ben chimed 9pm. 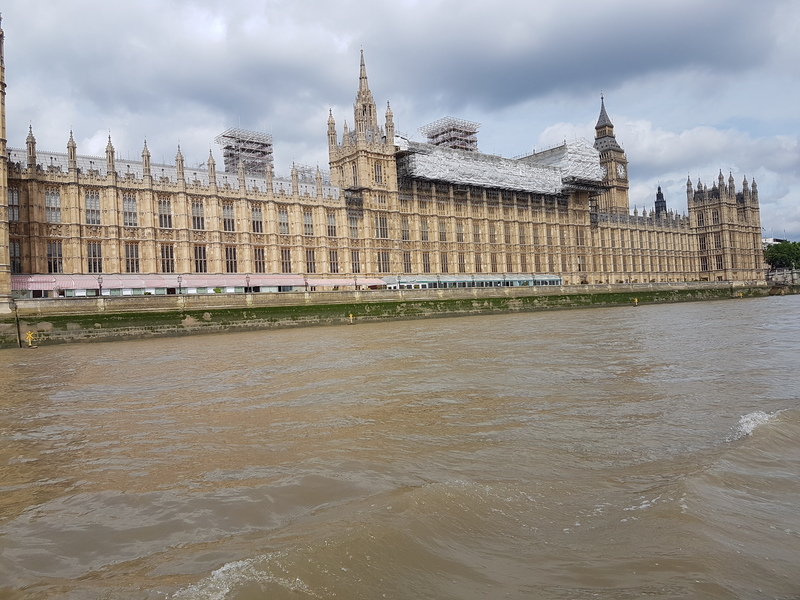 The duck tour took us on a tour of Westminster going past such sites as the BFI Imax cinema, Buckingham Palace, Westminster Abbey, the Houses of Parliment and the London Eye before splashing into the River Thames by the MI6 building, just like Mr. Bond! 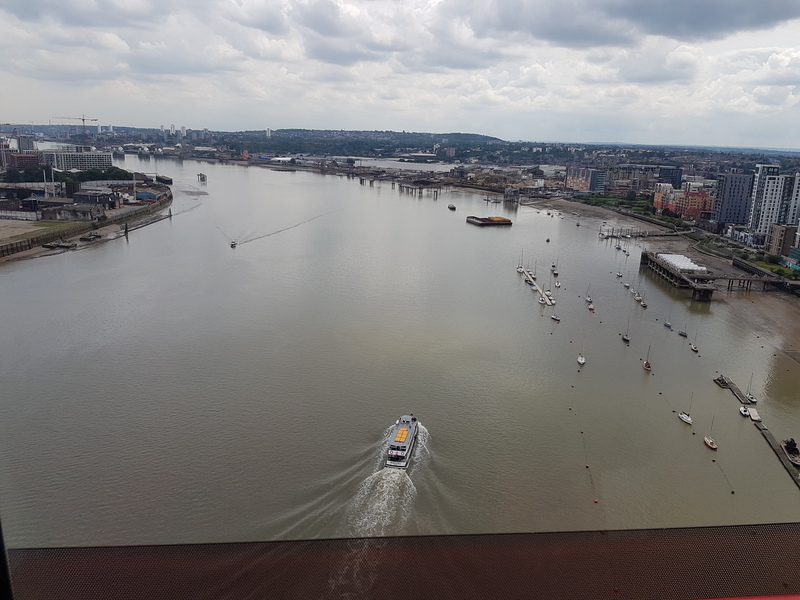 I got splashed as we went in – the curse of picking a window seat – but was happy as I had a great view and got some brilliant photos. I’d highly recommend a Duck Tour it’s a great way to combine a city tour with a river cruise and our tour guide was very knowledgeable. Once we got back onto dry land we headed to Shrek Adventure so I could pick up a pressed penny for my collection and looked at prices for nearby attractions, like the London Eye and the aquarium. We decided to leave those for another day as the tickets worked out cheaper the more attractions you selected and we knew Ryan and dad wanted to see some of them too. 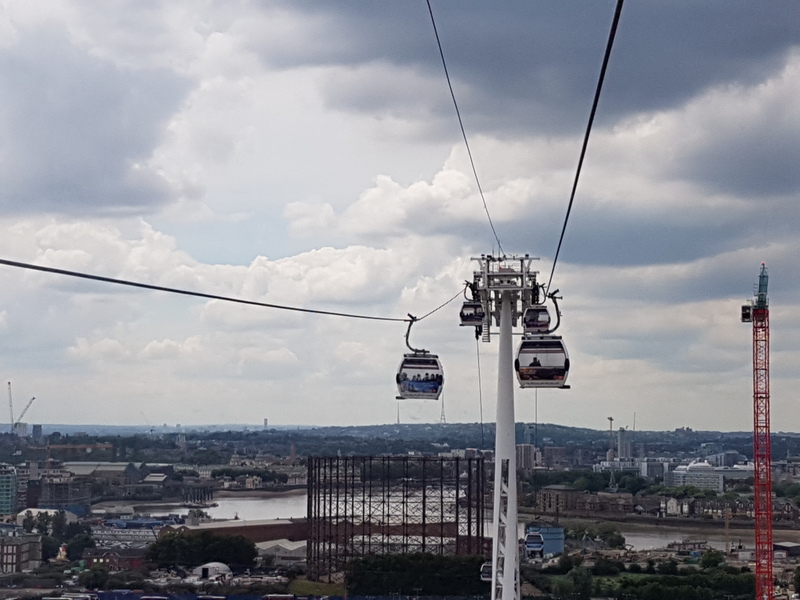 Instead we decided to headed to North Greenwich (home of the O2 Arena) and took a ride on the Emirates air line cable cars. Mum was not a fan! She’s scared of heights but was fine once we were up the top, it was the ascent she hated. Probably one to avoid if you don’t like heights, but personally I loved the views and the experience. 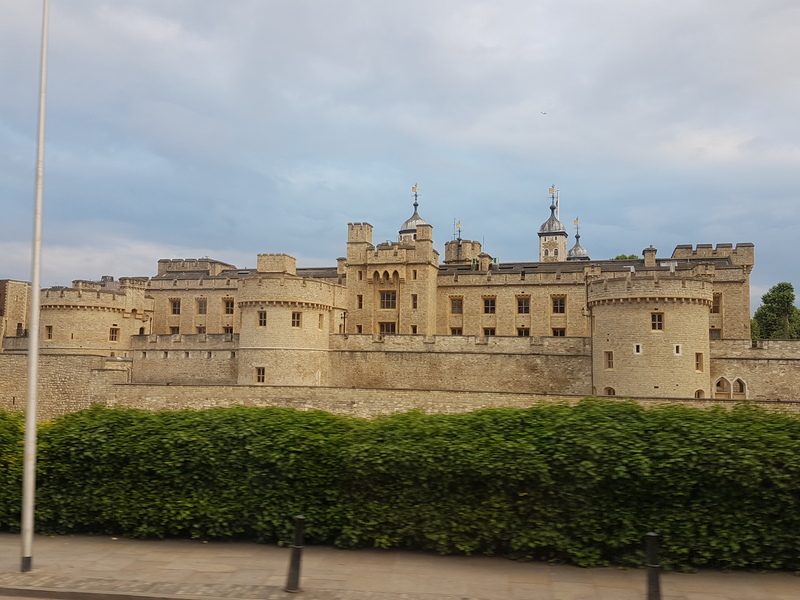 After scaring my mum 😉 we took the tube to London Bridge with the plan to visit the Tower Bridge Experience before we needed to catch our coach home. Unfortunately the queues were very long and we wouldn’t have had time to enjoy the experience. 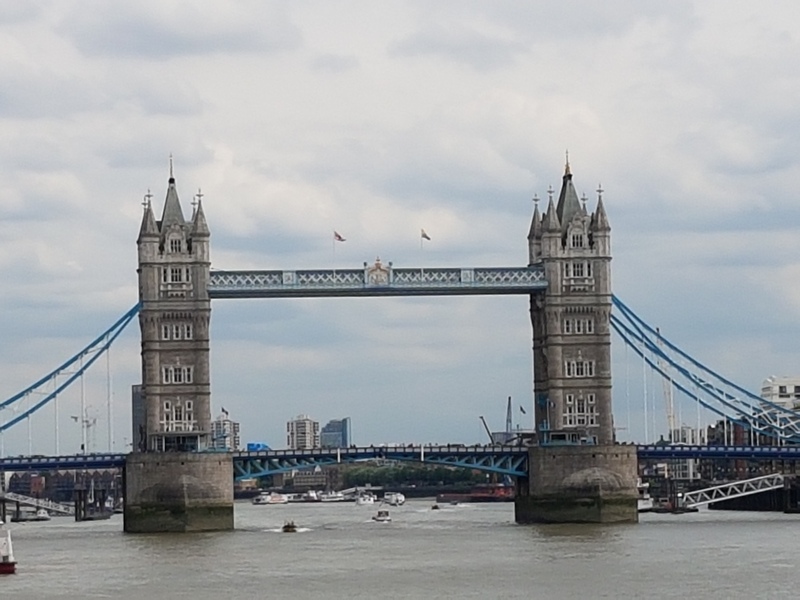 This will certainly be one for next time; with the Tower Bridge Experience you go across a walkway between the bridges two towers. I’ve heard from a colleague who went recently that the views are phenomenal. 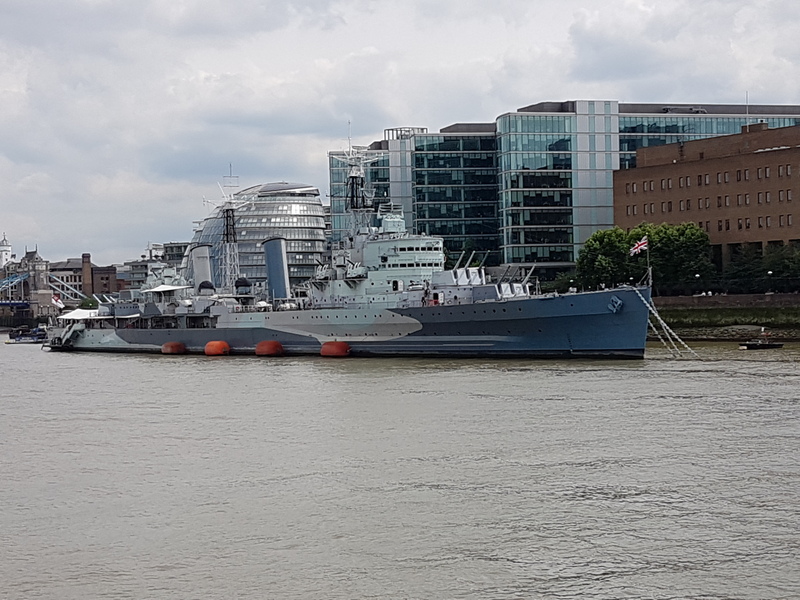 Instead we walked up from London Bridge to Tower Brdige along the Thames path and back around the other side, stopping at the Tower Brdige gift shop on our way by. There’s a small shopping arcade with a steampunk boat, wishing well inside where we stopped for lunch. We’d been there before for coffee and cake on a previous trip. It was soon time to say goodbye to London and head back to the coach station, I didn’t want to leave and even joked about moving there. Lol. The bus home was delayed, first by Friday night rush hour coming out of London and then again once we got on the motorway due to an accident. It should have arrived home at 19:30, but we were still about an hour away at that time. 🙁 I don’t think we did more than 50mph the entire journey home. Credit due to the driver and National Express for finding an alternative route home, we had a nice little detour through the countryside, avoiding the accident and the standstill on the motorway. It was a great couple of days and I’m already planning my next trip to the capital. AH so lucky! 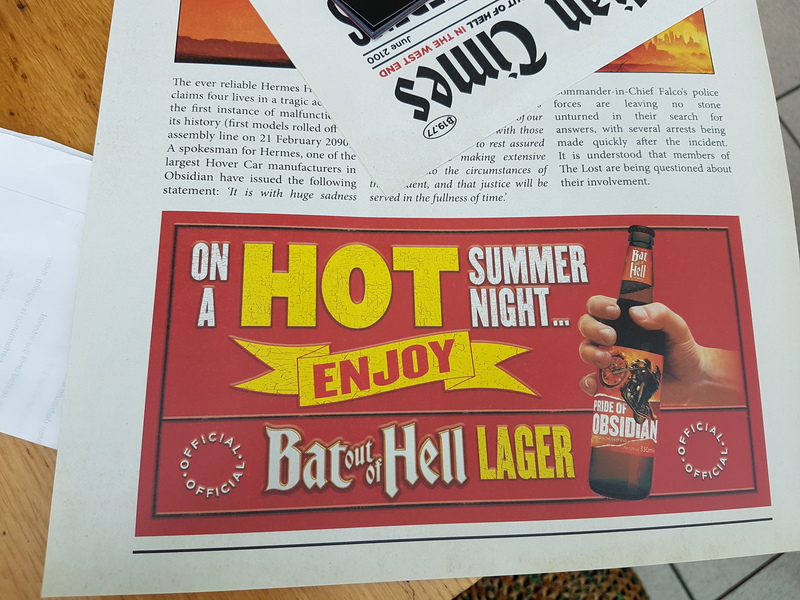 I so want to see the Bat out of Hell musical! Looks amazing. I am so glad to hear that you and your Mom enjoyed it! It’s so funny that she wanted to see it again the same day. Now that’s great theatre! By the way, the theatre looks stunning!! Those cupcakes!!! MMMMM some people are SO talented! You’re very brave for going on the ghost tour. I wouldn’t have done it! I’m such a chicken Hahaha. I took one of those tours that go from bus to boat in Halifax, NS. I was so much fun. I loved it. I am glad you liked it too!! Shrek adventure? Does that have anything to do with the movies Shrek? Those cable cars!! WOW. I would have been nervous too as I do not particularly like heights. I’d totally try it though! Holy crow, you sure did a lot in the 2 days you were there! I am so glad you were able to have this experience with your Mom. 🙂 Something to remember forever. Yep! It’s to do with the Shrek movies and other DreamWorks ones as well. 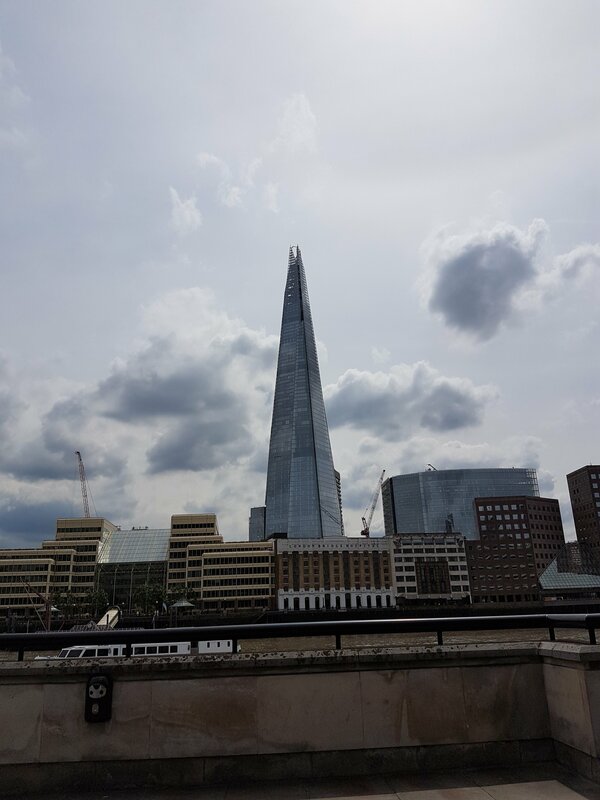 The sites in London are simply ah mazing.